Scientists say they have discovered a molecular link between aging and a major genetic cause of both amyotrophic lateral sclerosis (ALS) and frontotemporal dementia (FTD), two related neurodegenerative diseases with shared genetic risk factors. The findings (“TBK1 Suppresses RIPK1-Driven Apoptosis and Inflammation during Development and in Aging”), published in Cell, reveal possible new targets for treatment of these and other neurodegenerative diseases, according to the researchers. “Aging is a major risk factor for both genetic and sporadic neurodegenerative disorders. However, it is unclear how aging interacts with genetic predispositions to promote neurodegeneration. Here, we investigate how partial loss of function of TBK1, a major genetic cause for ALS and FTD comorbidity, leads to age-dependent neurodegeneration. We show that TBK1 is an endogenous inhibitor of RIPK1 and the embryonic lethality of Tbk1−/− mice is dependent on RIPK1 kinase activity. In aging human brains, another endogenous RIPK1 inhibitor, TAK1, exhibits a marked decrease in expression,” wrote the investigators. 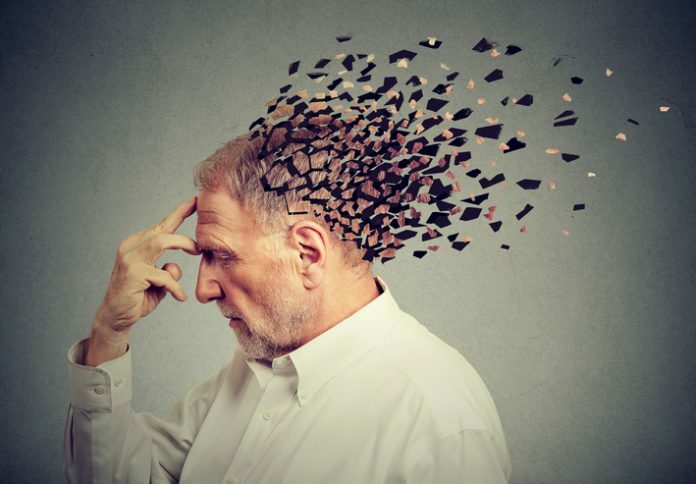 The team points out that the results also highlight the need for a better understanding of the biology of neurodegenerative diseases in the context of aging. ALS is a progressive, incurable condition marked by the gradual death of motor neurons. It shares some clinical and genetic features with FTD, which is marked by an early and rapid onset of dementia. Around one in 10 patients with both diseases carry genetic mutations that cause the partial dysfunction of a protein known as TBK1. Previous studies, including those by Yuan and colleagues, have shown that TBK1 is involved in a form of programmed cell death and in neuroinflammation, a hallmark of neurodegenerative disorders. How TBK1 contributes to the development of ALS and FTD, however, was unclear. However, the team found that mice without TBK1 could be fully rescued—surviving birth and becoming healthy adults—by blocking the activity of RIPK1, another protein known to play a central role in programmed cell death, neuroinflammation, and neurodegenerative disease. Further analyses revealed that TBK1 normally functions to inhibit the activity of RIPK1 during embryonic development. TAK1 and TBK1 appear to work together to suppress the activity of RIPK1, and even if one fails, the other can compensate, the researchers said. But if both begin to fail, RIPK1 activity increases, leading to cell death and neuroinflammation. This may be why individuals with TBK1 mutations do not develop ALS and FTD until they become older, when TAK1 levels decline with age, Yuan said. Several clinical trials are underway to test the safety and efficacy of drugs that block RIPK1 activity in neurodegenerative and chronic inflammatory diseases, and these findings support the rationale for those trials, Dr. Yuan adds. Despite numerous large-scale clinical trials, however, no effective therapeutics have yet been developed for neurodegenerative diseases. This research now establishes a model of study that incorporates both aging and genetic risk for ALS and FTD, which may have broad implications, noted Yuan.